You can easily purchase your The Illusionists on Broadway tickets before going to New York. Buying your theatre tickets online will save you time and money. 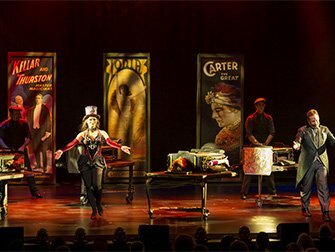 The Illusionists is a show that features eight illusionists who all have special talents and names. 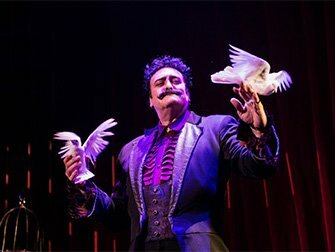 You’ll be able to witness performances of The Grand Carlini who is a master of prestidigitation and puppets, The Eccentric who is specialised in silent comedy, magic, juggling, slapstick, and acrobatics, and The Clairvoyants who are real mind readers. Together with a team of assistants, dancers and a live band they perform a spectacular show at the Lunt-Fontanne Theatre. This is true entertainment for the entire family! How to buy your The Illusionists tickets? Suitable for all ages. Children up to 4 years aren’t permitted in the theatre.